Pick Me! 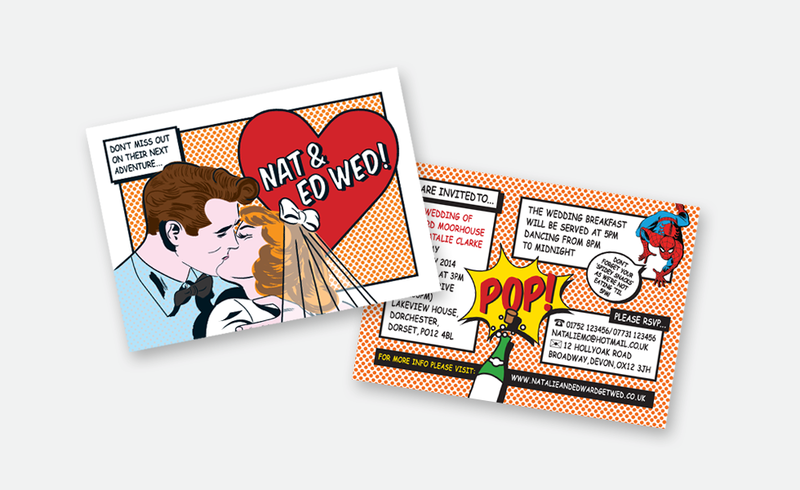 Design was approached by Natalie and Ed to create an ‘alternative’ wedding invitation to reflect their passion for graphic novels. They required a graphic designer and illustrator to create an illustration of the couple, to feature on the front of the card. As you can imagine I relished this opportunity to flex my artistic muscles!